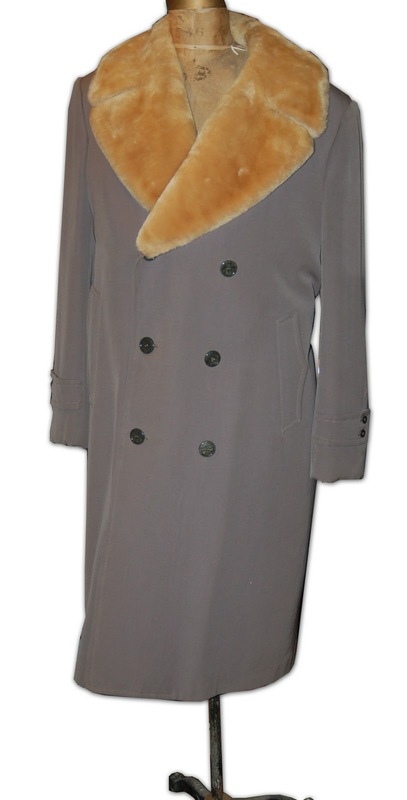 Today's Catch o' the Day: a men's winter coat from Winnipeg. Gabardine, double breasted with mouton collar, borg (faux sheepskin) lining and a buttoned half belt in back. Styled "the Stratoliner" presumably to cash in on the name value of the aircraft which went into production at Boeing in 1940. Stetson also put out a line of hats called the Stratoliner.